Complete the form below to download a copy of this eBook. 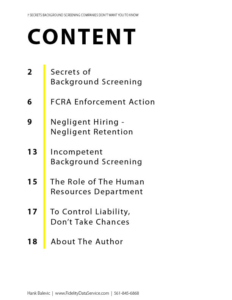 Businesses that screen applicants, from landlords to vehicle dealers, and retail chains, are threatened by unexpected liability exposure to government penalties and multi-million dollar lawsuits. 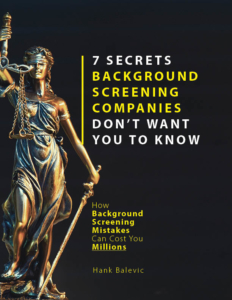 Download and learn how to prevent background screening mistakes from costing you millions. We will send the download link by email after your submit this form.